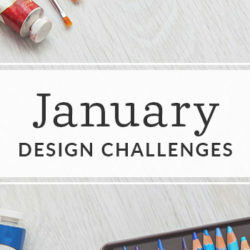 What was your inspiration for the design challenge? Before I started designing for the Staff Challenge 2016, I was thinking about my upcoming vacation to the beach. I started daydreaming about how wonderful it will be to see the ocean waves and sand again. Those colors of blues and tans were vividly in my head and they inspired me to create a design that would capture that vision. 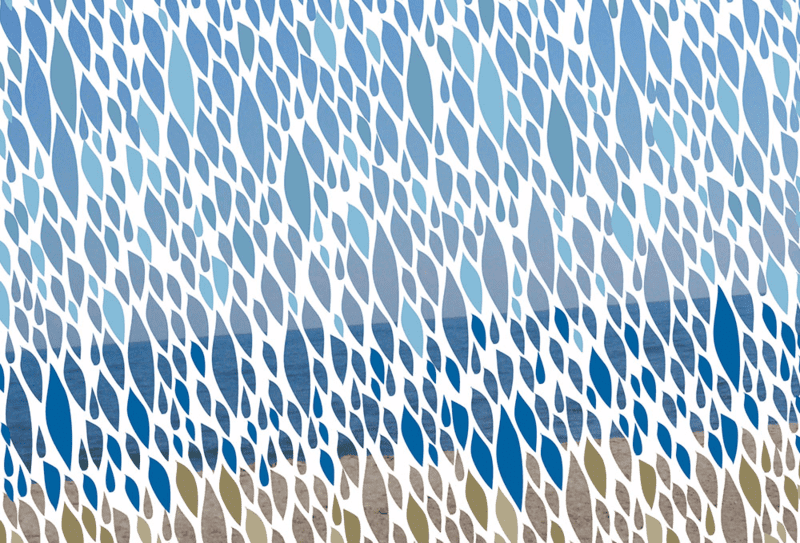 I started looking at some photos I took of Kure Beach, NC from my previous time there and decided to create a pattern using a background photo and a drawn vector element. I chose to make a feather type design since it reminded me of the flowing nature of waves and how they have such an incredible movement like the wings of a bird. 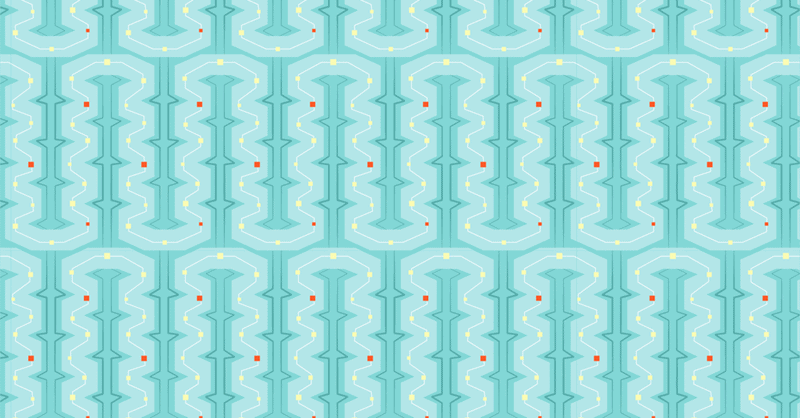 I repeated my drawing into a pattern and adjusted sizes and coloring. I am very pleased with my design and how it truly reminds me of the beach every time I look at it! What was the hardest part about the employee design challenge? My biggest challenge was trying to achieve the seamless repeat since the elements were so diverse and varied. 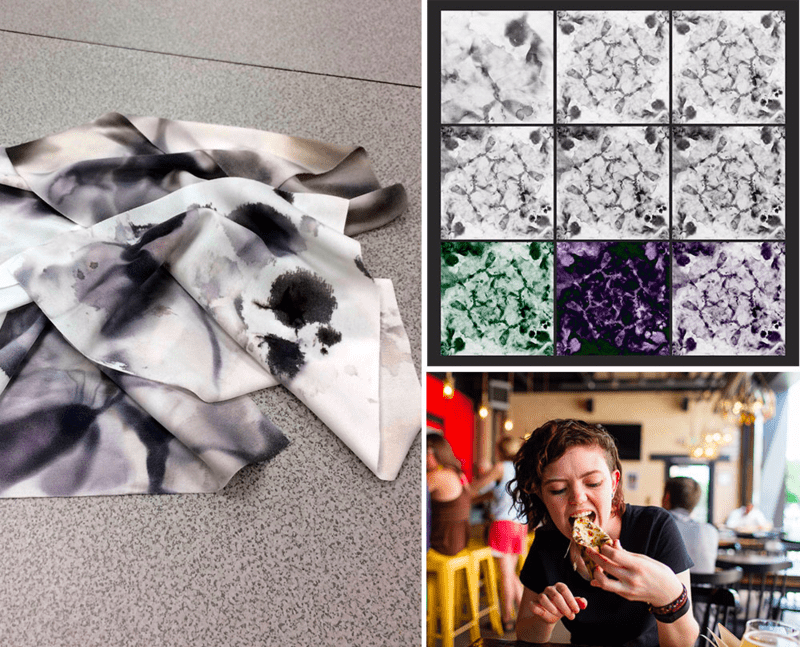 Ink-stained microfiber towels are turned into a beautiful design with a little help from Photoshop. What inspired your design challenge entry? My Staff Challenge entry came to me while cleaning the printers. The used ink is wiped up with these towels and discarded, but I grabbed a couple and photographed them. 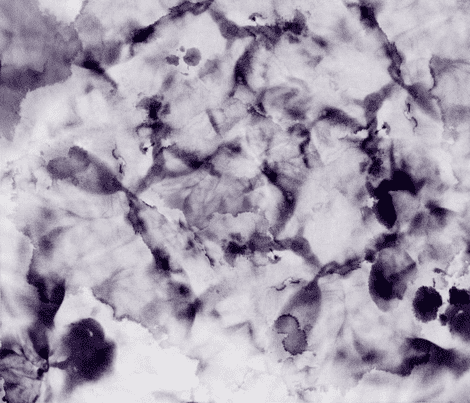 I took the photographs into Photoshop and layered and mirrored multiple images of ink splotches and occasionally grabbed a random area to drop into the white space. It ended up being an image that reminded me of Francisco Goya, the Spanish etcher and painter who told us the sleep of reason produces monsters. 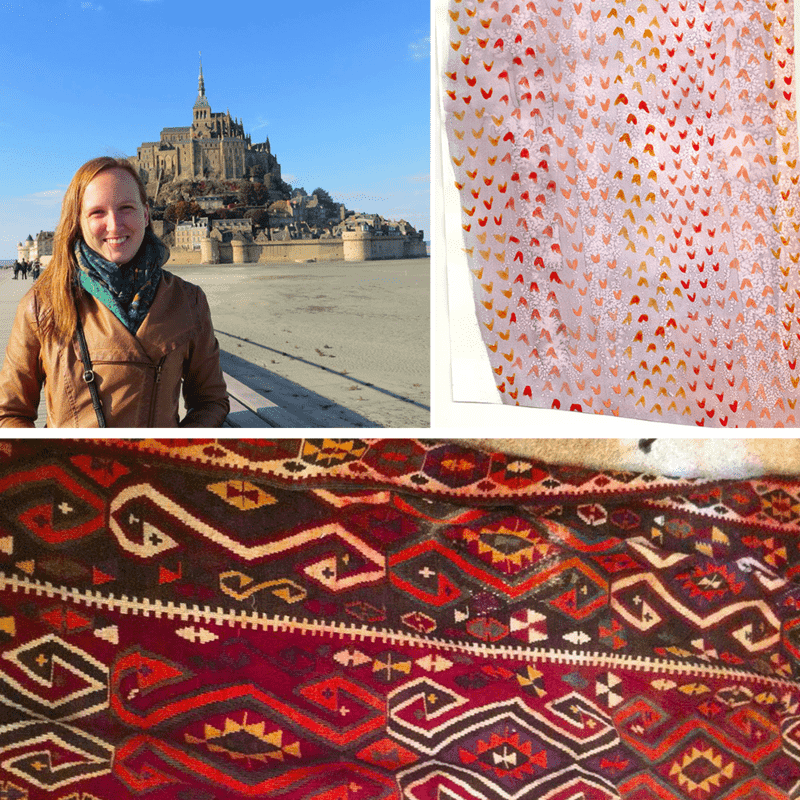 A Turkish killim helped inspire Taylor's Spoonflower Employee Design Challenge entry. I was inspired by a Turkish killim that I bought at the Raleigh Flea Market. I was drawn to the killim's use of geometric shapes and contrasting colors such as orange and purple. My design pulls from the same color palette and makes use of the same triangular shapes. Did you use any unique techniques to create your final design? 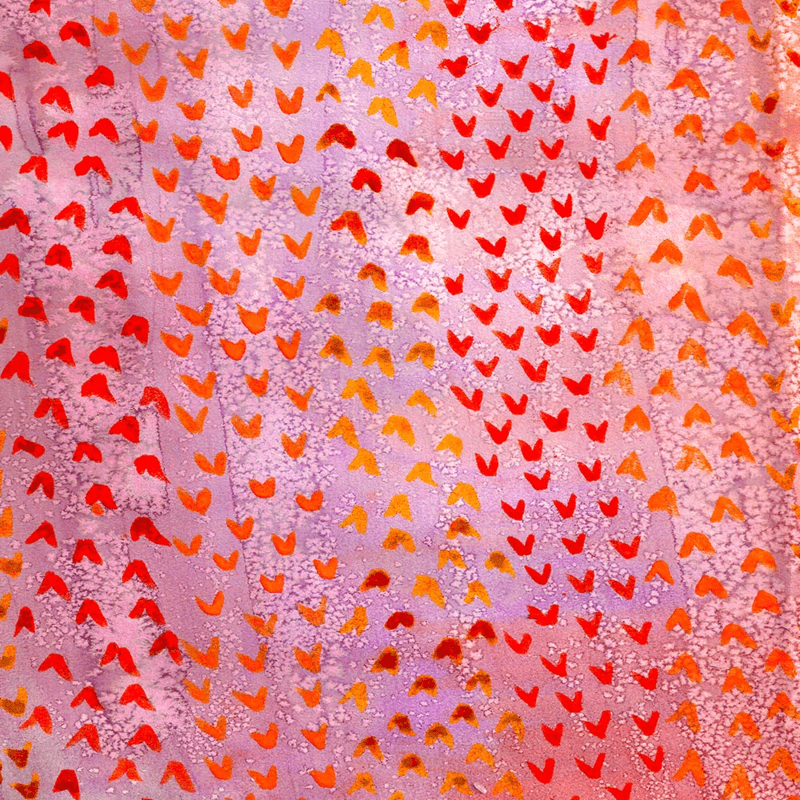 I sprinkled salt over the still wet wash of color to create texture, and went back over the painting with tiny V shapes. I then scanned in the piece, increased the saturation, and overexposed the image to create the same bright colors seen in the killim. Inspired by her gluten-intolerance, Robin's design represents the pain and joy that comes from dealing with a gluten-free diet. 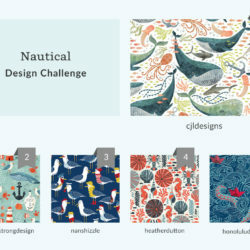 What was the inspiration for your Spoonflower Employee Design Challenge entry? My inspiration for my print was my gluten-intolerance. I have learned over the years that I really need to pay attention to the signals and symptoms my body is giving me. This print represents the pain and joy that comes from dealing with a gluten-free diet. My health has improved greatly since I started my diet 6 years ago. I feel great every day, but with that also comes fear that I may accidentally eat the wrong thing. That would send me down a dark road of varying symptoms from sharp internal pains to itchy hives all over my face and chest. Not fun! What technique did you use to create your design? 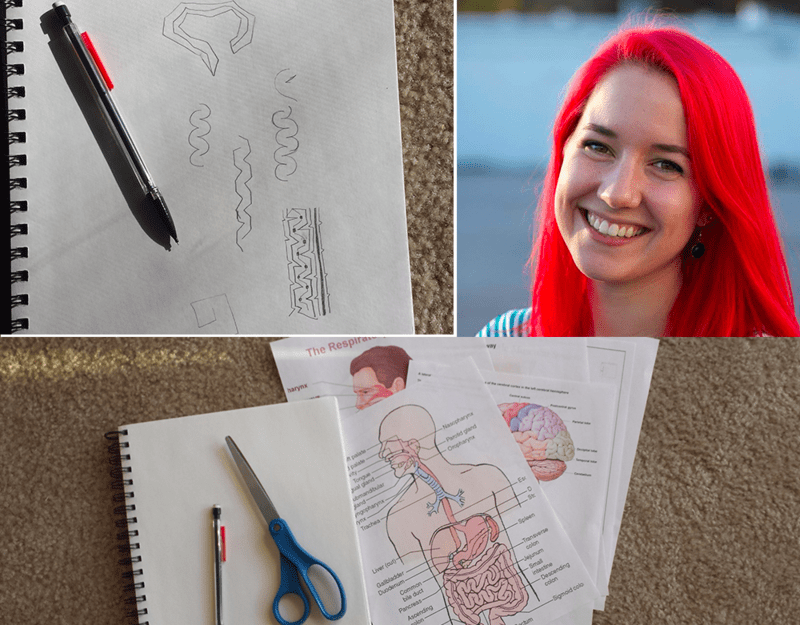 I started by printing out a bunch of medical diagrams of the digestive and nervous systems and drawing inspiration from those shapes. I abstracted them through sketching until I ended up with a pattern I enjoyed. I then recreated those shapes as vectors in Adobe Illustrator. The hardest part for me was picking the colors. Since the shapes are very sharp and "painful," I wanted the color to reflect my good feelings and healthy days when I am eating gluten-free. After a lot of playing around I finally settled on a palette I love! 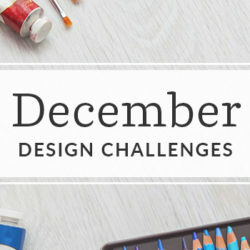 Did you participate in the SpoonChallenge: Design-A-Day abstract prompt on day #3, the inspiration for this week's Design Challenge? If you did, let us know by commenting in the section below! 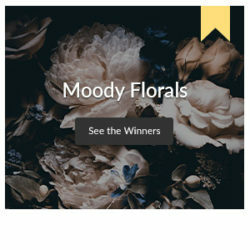 Don't forget, voting for the Employee Design Challenge ends Wednesday, March 30th!